New Delhi: Union Minister of Agriculture and Farmer’s Welfare, Shri Radha Mohan Singh has said that it is our main objective to attract youth including school children towards agricultural education. 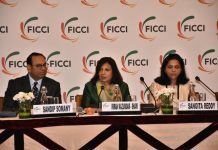 Shri Singh mentioned that Government of India has started celebrating many National and International Days related to agriculture for its integrated and rapid development. 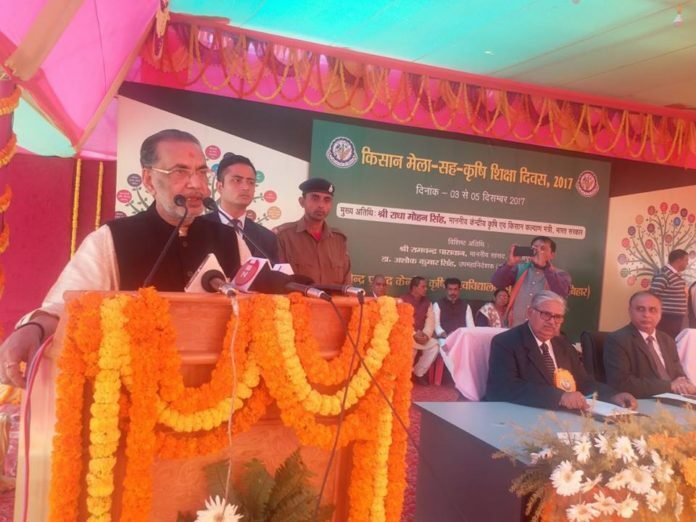 It was stated by Shri Radha Mohan Singh while addressing at Dr Rajendra Prasad Central Agricultural University, Pusa, Samastipur, Bihar on the occasion of National Agricultural Education Day (December 3, 2017). The Agriculture Minister said that two years back Government of India decided to celebrate National Agricultural Education Day on December 3 because it is the birthday of our first Union Agriculture Minister and Former President of India, Dr Rajendra Prasad Ji. 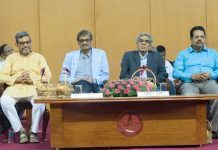 Shri Singh further added that all State Agricultural Universities and ICAR Institutes are celebrating National Agricultural Education Day in a big way since then. Shri Singh mentioned that the Government of India has started implementing many programmes towards strengthening Agricultural Education, Research and Extension for a long term and sustainable development in agriculture. With the development of new technologies, agricultural trends are changing daily. To maximize the use of advanced technologies, it is important to provide adequate strengthening of agricultural education. 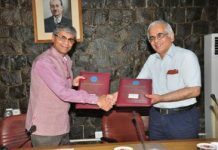 He expressed happiness that ICAR has initiated many new programmes to enhance the quality of higher agricultural education in the country. The government of India has increased the budget of Agricultural Education by 47.4% this year as compared to the financial year 2013-14. The Agriculture Minister further said that in order to adopt quality and holistic approach to higher agricultural education, the Fifth Dean Committee Report has been implemented in all the Agricultural Universities. 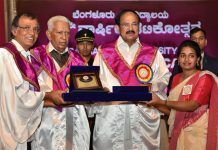 This is First-of-its-kind that all Graduate Level Courses of Agriculture and its related subject have been declared as Professional Courses, in which agricultural graduates will be able to get a better opportunity from professional work in the future. Agricultural graduates will get more benefit from declaring their professional degrees as this degree has now become similar to the engineering degree. He also mentioned that agricultural graduates will get more opportunities to go abroad for higher education. Shri Singh informed that in the Fifth Dean Committee Report, guidelines have been prepared for necessary administrative educational standards for the construction and implementation of contemporary courses for the subjects covered in agricultural education. He said that the Student READY programme has been started for graduates of agriculture and allied subjects to ensure new direction for entrepreneurship development better employability. The main objective of this programme is to provide confidence and complete skills to agricultural Graduates while studying at undergraduate level. Under this programme, there is also a provision for working with the farmers in the fourth year of the bachelor’s degree. Apart from this, the system of training has also been widely given in the production industries. The stipends given to students under Student READY have been increased from Rs 750 / – to Rs 3000 / – per month. Recognizing the immense potential of North-Eastern India, six new colleges have been opened by the Modi Government under the Central Agricultural University, Imphal. This has resulted in the increase in the number of agricultural colleges in North East India by more than 85 percent in the last two years and the number of total colleges has gone up to 13. Out of this, two colleges of Agriculture in Arunachal and Meghalaya State, two colleges of Horticulture in Mizoram and Sikkim, a College of Veterinary Science in Nagaland and a College of Food Technology in Imphal, Manipur have been opened. The Agriculture Minister said that the Central Government has set up two separate Indian Agricultural Research Institute, IARI-Jharkhand and IARI-Assam in Jharkhand and Assam respectively. The task of opening 4 new colleges under the Rani Lakshmibai Central Agricultural University, Jhansi is in full swing in the Bundelkhand region.